No one offers you a broader or better selection of storage systems. SPG International may manufacture shelving, sinks, carts, cabinets, racks, workstations, but what they really offer is productivity, efficiency, durability, versatility and performance. From the most basic tools to the most advanced systems, SPG offers your operation everything you need to store, organize, transport, prep, clean, and serve. All systems deliver greater storage capacity, easier access to inventory, improved employee productivity, faster customer service, while creating a more efficient and profitable operation. 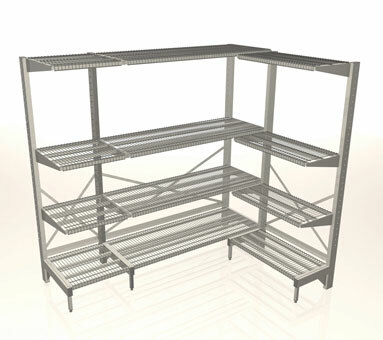 When it comes to cantilever shelving and workstations, no system offers you more than our Freestyle line. Freestyle drives productivity and maximizes your space with greater flexibility, strength, access and weight capacity.